My Original Essence is perfectly balanced, a blend of spices and herbs to compliment meat or fowl, veggies and pasta. I use it on everything but ice cream! 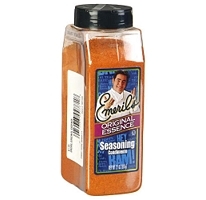 A Great Seasoning made by Emeril…one of the top chefs………..Popular TV chef Emeril Lagasse shares how-to tips and recipes for his classic Cajun and Creole dishes. Known for adding spice to traditional dishes, Emeril keeps the kitchen entertaining with ideas for Sunday brunch, holiday meals and cooking with kids. Recipes include everything from appetizers to drinks and desserts. 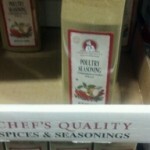 Try a 2 pack of this top rate spice and seasoning!!! 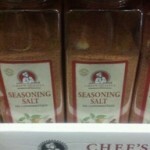 The secret to good cooking is in the seasoning. My Emeril’s Original Essence is perfectly balance, a blend of spices and herbs to complement meat or fowl, fish, veggies and pasta. I use it on everything but ice cream! Put some in a bowl and keep it handy on your counter. Sprinkle generously before cooking. Add oil and use as a marinade. Emeril Serving Suggestions Emeril’s Marinade: Combine equal parts olive or vegetable oil and Original Essence. Mix thoroughly. Terrific on chicken, seafood, beef and pork. 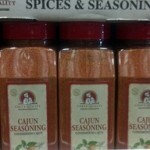 Big Easy Meat Rub: Mix 1 part brown sugar to 3 parts Original Essence for a Kicked-Up rub for beef, chicken or pork.